Become a Member today and check out the latest reports and studies! The US Travel Insurance Association (UStiA) is a national association of insurance carriers, third-party administrators, insurance agencies and related businesses involved in the development, administration and marketing of travel insurance and travel assistance products. The US Travel Insurance Association's mission is to foster ethical and professional standards of industry conduct, cultivate effective state and federal government relations, inform and assist members, and educate consumers. Get the latest industry news, UStiA updates, and more! A resource for the media on news and statistics about travel insurance and the UStiA, press releases and research results. Whether you're planning a quick get-away to the beach or mountains or an overseas business trip, travel insurance can be a wise investment. 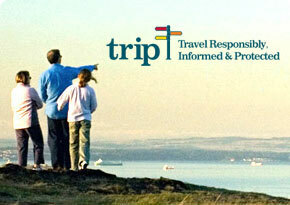 • Is Travel Insurance right for you? • Why buy Travel Insurance? Inform and assist members with matters pertaining to the industry. While UStiA neither promotes nor endorses any particular travel insurance or travel assistance service, we strongly recommend that American travelers consider an appropriate travel protection plan that meets their specific needs.